Amber Heard cheated on Depp with Cara delevigne! Celebrities photographed together during a dinner with friends and partners of Elon's brother - Kimbal. 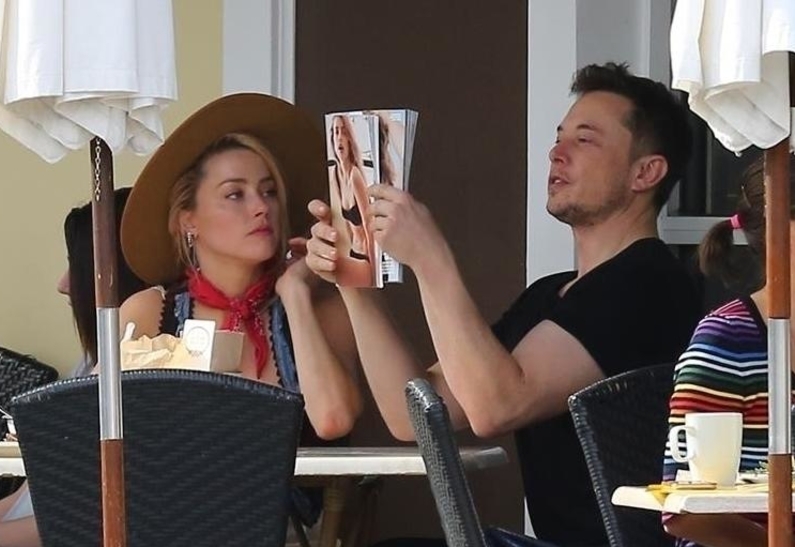 It seems that Elon Musk and Amber Heard finally reunited. Despite circulating split rumors in the media, lovers spend much time together. A few days ago it became known that they decided to take a trip. The actress and the businessman are on vacations in Chile in the company of Elon's younger brother - Kimbal and mutual friends. One of a pair's friends and Kimbal's Business partner shared a picture taken during a party on his Instagram. What an inspiration to have had Kimbal Musk and his family with us at Taringa. Thank you for sharing your thoughts on the stable supply. The Kitchen and the whole concept of it - a model for imitation. Memorable night !!! - man wrote. Recall that the final reunion of the pair became known a few weeks ago, when the star couple was photographed near the restaurant Home State in Los Feliz. The actress and her boyfriend looked happy, hugging and kissing.